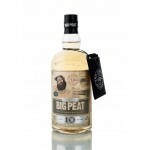 Douglas Laing & Co was founded in 1948 by Fred Douglas Laing and what followed was a long and victorious march with his whiskey success. 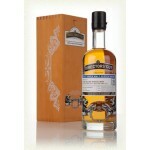 Currently the third generation is at the helm of this whiskey company. 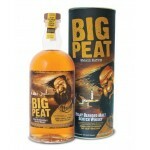 Douglas Laing sells a lot of whisky for blends of famous brands but also bottles a wide variety of proprietary bottlings. 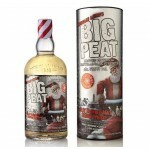 The company bottles the following series: Old Particular, Director's Cut, Big Peat, Scallywag, Clan Denny Grain, Provenance, The Premier Barrel, Double Barrel, King of Scots en Epicurean. 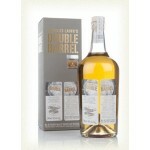 A Double Barrel vatted malt distilled at Ardbeg and Aultmore. 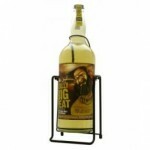 A release of independent bottler Do.. 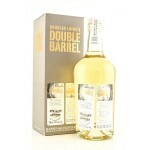 The Douglas Laing Double Barrel Ardbeg/Inchgower is a blended malt from Ardbeg and Inchgower bott.. 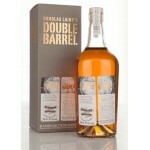 The Douglas Laing Double Barrel Bowmore/Craigellachie is a blended malt from Bowmore and Craigell.. 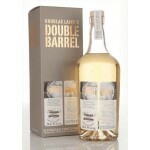 The Douglas Laing Double Barrel Islay & Highland is a blended malt from an Islay and a Highla.. The Douglas Laing Double Barrel Speyside & Lowlands is a blended malt from a Speyside and a L.. 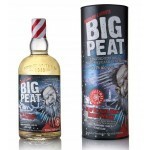 This 11 years old Blair Athol was bottled in the Single Minded series of independent bottler Doug.. 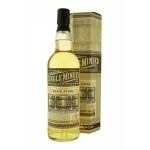 The Single Minded Dailuaine 7 years old 2007 is a Speyside single malt bottled in the Single Mind.. 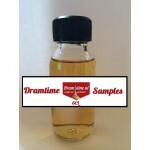 This 10 years old Tamdhu from 2002 was bottled in the Single Minded series of indepedent bottler .. 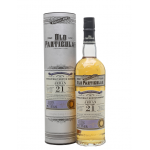 This 21 years old Ardbeg was bottled in the Old Particular series of independent bottler Douglas .. 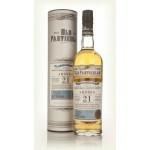 The Old Particular Arran 21 years old 1996 is an older Islands single malt from the Isle of Arran.. 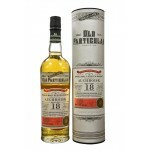 The Old Particular Auchentoshan 18 years old 1997 is a Lowlands single malt bottled by the indepe.. 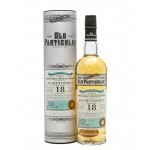 This 18 years old Auhchroisk was bottled in the Old Particular series of independent bottler Doug..